Yep, we’ve gone #ShoesFirst this month. From super strappy lace-ups and pimped-up brogues to thigh-high boots and high-shine heels, there’s a lot going on in the shoe-niverse right now, which is why Marie Claire’s October issue is dedicated to all things shoes. Yep, we’ve gone #ShoesFirst this month. Launched in conjunction with our native cover partner Luisa Via Roma, our #ShoesFirst special was first inspired by a Marie Claire Editor, after she revealed that she styles her entire outfit around her choice of footwear every morning – nifty! 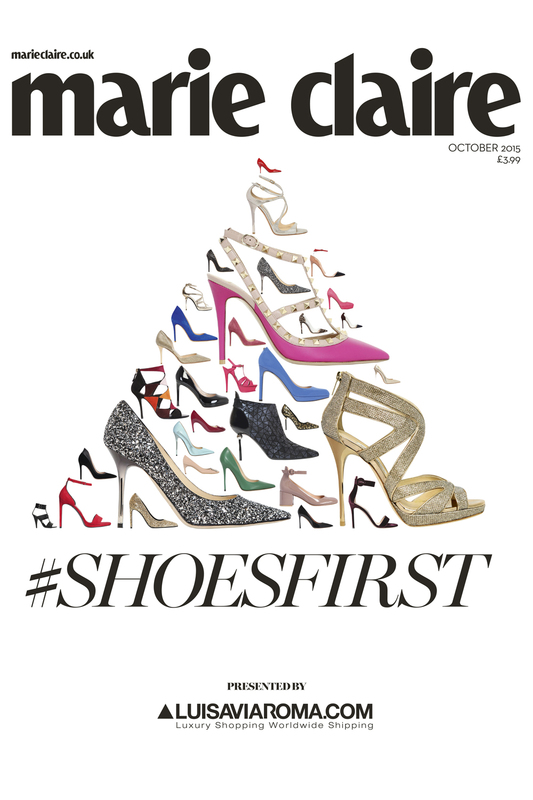 So in honour of everyone’s favourite accessories, we’ve put shoes at the forefront of Marie Claire’s agenda this month. And so, with no further ado, brush up on all the new season trends, catch up on the news in shoes, and, of course, indulge your love of all things footwear. Plus relive some historic moments from the inimitable, weird and downright wonderful world of footwear. But what would a shoe special be, if you couldn’t shop them either? (Answer: nothing.) So make sure you check in to see our shopping round-ups, too. Oh, and there’s even a chance to win a pair of shoes every day in September. And if you’re keen to join in the conversation this month, why not join us in Instagramming your favourite footwear using #shoesfirst and keeping us in the loop on Instagram and Twitter @marieclaireuk. What are you waiting for shoe lovers!? Go get your copy, now!